The year 2013 was indeed a blast, with so many things happening in the foodie world, I'm quite excited what 2014 has in store for us. 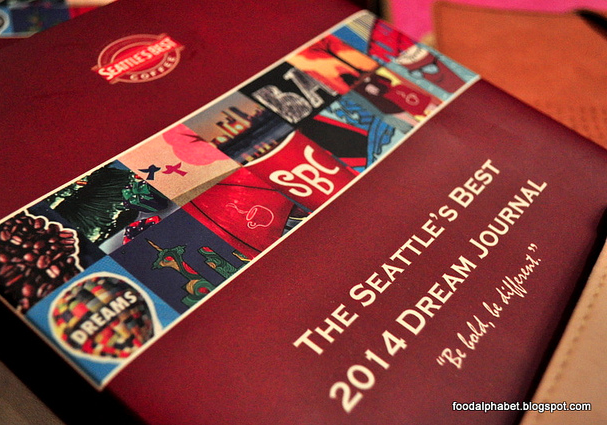 But wait, let me first announce the winner of Seattle's Best 2014 Dream Journal. Please wait for an email from me on how we can proceed to have your prize delivered to your doorstep, again thank you everyone for joining. And hope you could get to join our future giveaways... well one is coming up next, Santa extended the Christmas season and has one Santa bag to give to our readers, so watch out for it.